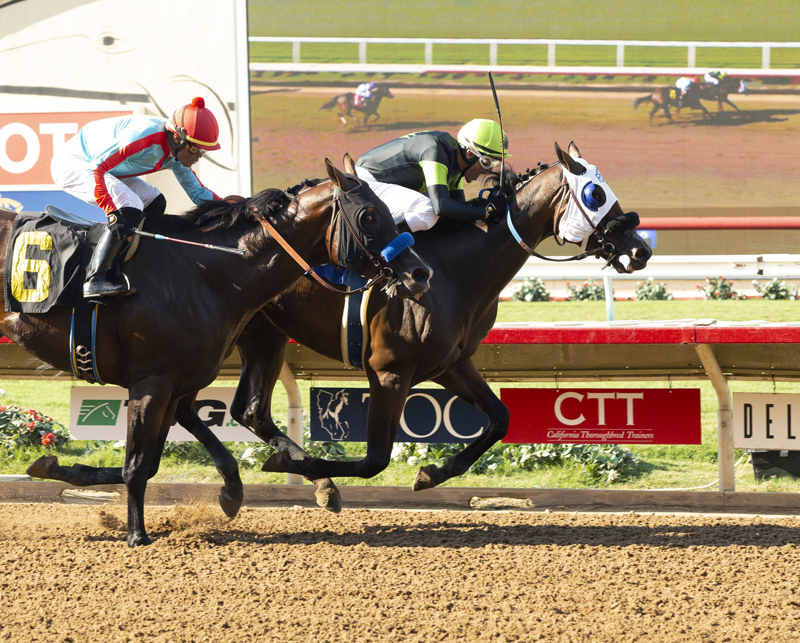 Kentucky-bred Divisor gamely fought off the stretch-long challenge of Show Me Da Lute to win Del Mar’s feature race Wednesday, a one mile contest over the main dirt track. With Santiago Gonzalez in the saddle, Divisor responded to urging to outduel Show Me Da Lute and win by a half-length in 1:38.77 for the distance. Canadian Game was third, with Kidmon fourth in the field of six older horses. Divisor, a four-year-old son of Harlan’s Holiday owned by Queen Bee Racing and Agave Racing Stable and trained by Phil D’Amato, returned $12.80, $7.80 and $4.80 after notching his third victory in ten starts. Show Me Da Lute paid $6.80 and $4.60, while Canadian Game returned $3.80 to show.